Perhaps the greatest event in the tennis, Wimbledon captures the hearts and minds of enthusiasts from around the world… but how to watch Wimbledon outside the UK? Today’s spectators can easily watch the matches televised or online but with some exceptions. Not all channels will show all matches or have live coverage when and where you want it to be. This can be alleviated by watching coverage on different channels or over the Internet but that presents challenges as well. For one thing, most online streaming services have geo-restrictions on their content to comply with international copyright laws. This means that while you may be able to go the BBC, Tennis Channel or ESPN website it does not mean you can just click on the buttons and watch whatever you want. The good news is that this can be overcome and quite easily. The really good news is while you are unlocking geo-restricted content you will also be enhancing your Internet security. I’m sure by now I’ve begun to confuse you so let me be clear, I am talking about a VPN service like Le VPN. VPN stands for Virtual Private Network. Virtual Private Network is the same technology that mega-corporations and governments use to protect their networks and one that is fast becoming the most important security feature Internet users are unaware of. It works using a combination of features which work to mask your computers address and location, hide its connections and encrypt it transmissions. The operative factor when it comes to how to watch the Wimbledon finals online is that it masks your IP address and location. It does this by routing your connections through dedicated servers in opportune countries to effectively create a connection from said country. This means if you live abroad and want to watch BBC coverage at 10PM and ESPN coverage at 3AM you can log in through an appropriately located server and watch to your hearts content. Even better, you can get all this content unleashing power for as little as $4.95 per month and enhance your online security at the same time. You know you want to watch great tennis and you know you want to watch the matches that count. If you aren’t in the stadium when it happens the only way to do this is to use a variety of online streaming services and to do that you need VPN. To properly appreciate the Wimbledon Championships, also known simply as The Championships, you need to have a grasp on what it is, where it came from and why it is so important. Simply put, Wimbledon is an urban district in the southwestern section of London in the Borough of Merton. It boasts a population of roughly 70,000, the size of a small city, and is the setting for many books, movies and songs. Aside from the Wimbledon Tennis Championships it hosts a vibrant shopping and restaurant scene, the New Wimbledon Theater and the Wimbledon Common, one of the largest public areas in all of London. The area is split in two areas, the rebuilt medieval “village” and the “town” where the more modern aspects can be found. As a township it is thought to have been inhabited since at least the iron age and plays prominently in nearly every period of English history. Originally an outlier of London Town, when it was home to a more rural population and vacationing nobility, it has since been absorbed into Greater London. Borough Of Merton – A borough formed in 1965 under the 1963 London Government Act. The Borough combines the former Municipalities of Merton, Wimbledon and Mitcham, all formerly within the County of Surrey. Wimbledon is roughly 7 miles southwest of the center city at Charing Cross. Charing Cross – Charing Cross is a roundabout and intersection south of Trafalgar Square in central London. It has long been used as a reference point for central London with other landmarks locations relative to it. The Wimbledon Tennis Championships are perhaps the best known of Wimbledon’s many attributes. Why are they so important to Wimbledon and tennis, because they are the oldest tennis championships in existence and widely believed the most prestigious. The event is held at the All England Lawn Tennis And Croquet Club, played on grass courts and one of the world’s top four Grand Slam Championships. The tournament takes place late June/early July each year and culminates with the men’s and women’s single’s finals. The two premiere events are scheduled to take place the 2nd weekend of July and command the highest ratings of any televised tennis event worldwide. The All England Lawn Tennis And Croquet Club has had several name changes over the years. Originally the All England Croquet Club the words Lawn Tennis were added after the sport became a favorite of members. Later, when croquet fell out of favor the word was dropped leaving the club titled the All England Lawn Tennis Club but even that did not last. Nostalgic members had the word Croquet added back to the name in 1899 from which time forward it has remained the same. As far as tennis events go, Wimbledon is noteworthy for a number of reasons all pointing to one thing: a serious respect for tennis. All players and spectators must adhere to strict dress codes. Many players over the years, including the Williams sisters, have run afoul of referees for less than acceptable attire. Along with that the club boasts royal patronage which, among other things, allows it to operate without tacky advertising plastered everywhere the eye can see. Grand Slam Tennis Tournaments – There are four Grand Slam Tennis Tournaments including the Championships, Wimbledon. Others are the French Open, the Australian Open and the US Open. These tournaments claim the most prestige, the biggest crowds, the most prize money and the most ranking points for the players. Wimbledon is the only one played on grass, two are played on hard courts and one on clay. The events history is tied inextricably with that of the All England Lawn Tennis and Croquet Club. The club was founded July 23, 1868 as the All England Croquet Club. A few years later, after the advent of lawn tennis, the club was renamed and the first championships were held to inaugurate it. The first event was held July 9, 1877 and featured one event: the Gentleman’s Singles. Approximately 200 spectators paid a shilling a piece to watch Spencer Gore win from a field of 22. A new code of rules had to be drawn up to hold the event and is the basis of today’s rules. The only major differences are the height of the net and posts, and the distance of the service line from the net. Officially labeled The Championships, Wimbledon, the event is also commonly known simply as The Championships, Wimbledon or The All England Lawn Tennis Championship. The lawns of the original club were placed so that the main court was located in the middle with others arranged around it. The set-up led to the term “Center Court” which was retained for the main lawn in the new facility, located in Church Street, even though the original layout was not used. Later, more courts were added to the design of the new club, which made the term more accurately descriptive. Over the years more events have been added to include the Ladies’ Singles, Gentleman’s doubles, Ladies’ doubles and Mixed Doubles. Until 1922 the reigning champion only had to pay in the finals, competing against whomever it was who had won their way through the ranks to challenge him. Like the other major Grand Slam events Wimbledon was only contested by top amateurs until 1966 and the onset of the “Open” era. Since then top professionals have entered the field, and dominated it. The club appreciates its role as the world’s premier tennis event and has been working hard in modern times to cement that position. They began a three phase plan in the mid 90’s which has helped to increase the number of courts, improve facilities for players, spectators and press and allowed the building of a retractable roof above Center Court. Until then it was common for matches, and in particular the finals, to be interrupted by long periods of rain. The Championships have come a long way from the early days of Gentleman’s Singles. It now boasts 5 main events, 4 junior events and 7 invitational events for a total of more than 520 players. 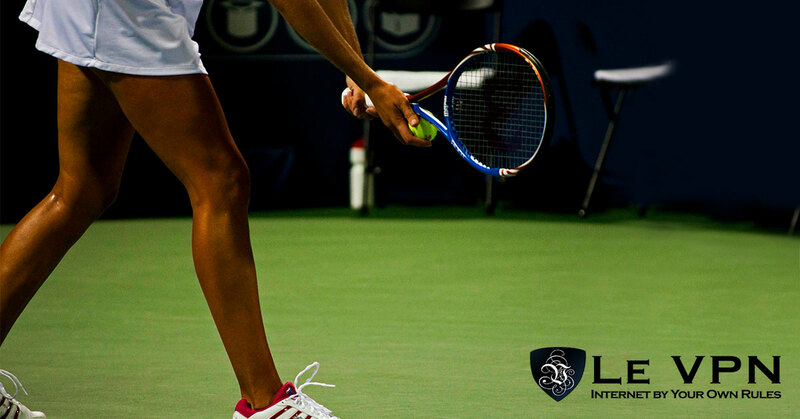 The main events include Gentleman’s and Ladies’ Singles, Gentleman’s and Ladies’ Doubles and Mixed Doubles. The junior events include Boy’s and Girl’s Singles and Boy’s and Girl’s Doubles, there are no mixed junior mixed doubles. Invitational Events include Gentleman’s, Ladies’ and Senior Gentleman’s Doubles, and Ladies’ and Gentleman’s Wheelchair Singles and Doubles. Wimbledon is the only 1 of 4 Grand Slam Events to be played on grass courts. There are other tournaments played on grass but they are all considered to be warm-up events and do not command the prestige of other events. Match play for the main events is single elimination, one loss and the player is out, except in the case of the Gentleman’s, Ladies’ and Senior’s Invitational Doubles which are round robin. Round robin tournaments has each player or team play all the other players or teams once in order to determine the leader. This method gives each team an equal chance and does rely on “perfect” performance as the single elimination “knock out” does. Gentleman’s Singles and Doubles are best of 5 sets, all others are best of three. In the case a set goes 6-6 a tie breaking game is played except in the case of the final set, at which time players will go on until one is ahead by 2. Historically, the tournament follows the Queen’s Club Championship by two weeks, beginning after the last Saturday of June. In recent years organizers have broken with tradition to start a week later to give players more time between the French Open and the Championships. Play begins on a Monday and ends two week’s later on a Sunday with the Men’s Singles Finals played on Center Court. The main events typically take the full two weeks to complete while the junior and invitational are primarily during the second week. Players are afforded a rest day on the middle Sunday although it is often used to make up for matches postponed due to rain. While all the events are popular, the main events are most popular, and specifically the Gentleman’s and Ladies’ Singles. Each begins with 128 players admitted according to their international rankings. The Gentleman’s has 104 direct entries, the Ladies’ 108, with 8 wild card spots for each and the rest made up of qualifiers. Since 2001 the Championship has used a merit based seeding system to rank the top players. The Committee on Management chooses the wild card players. They may be chosen for a number of reasons including past performance at Wimbledon, recent performance at other tournaments or crowd appeal. Only one wild card player has ever won the Gentleman’s Singles and that was in 2001. The players who do not receive invitations or wild cards can choose to compete at a qualifying event held one week prior to Wimbledon at the Sports Grounds in Roehampton. No qualifier has ever won the Gentleman’s Singles. Players are seeded according to their international rankings but with some adjustments. The top 32 players, in the case of the Gentleman, are still the top 32 seeds for the Championship but their order may be altered based on past grass court experience and other factors. The formula is like this; ATP points + 100% of all grass tournament points in past 12 months + 75% of points for best grass court performance in the 12 months before that. Most players are unseeded and extremely unlikely to win. Only two unseeded players have ever gone on to win the Gentleman’s finals and both went on to become highly ranked: Boris Becker (eventually ranked #1) and Goran Ivanisevic (eventually ranked #2). The lowest seeded female player ever to win the Ladies’ Singles was Venus Williams at #23. The catch is that she was just returning from an injury that impacted her ranking in previous tournaments and lowered her seed. 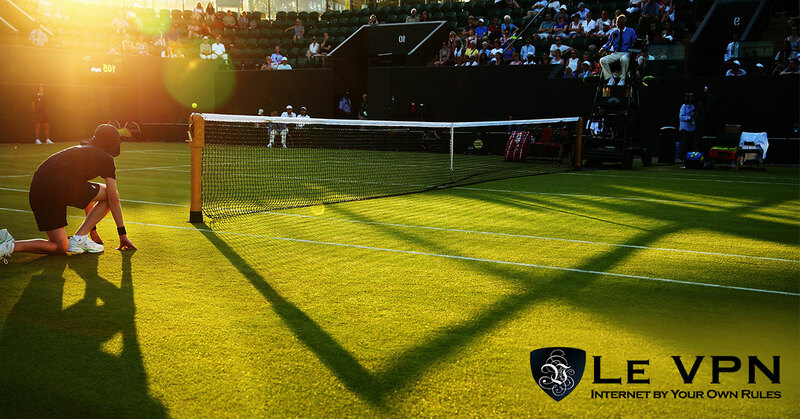 The courts at Wimbledon are sown with 100% perennial rye grass for its durability and toughness. The main courts, Center Court and Court Number 1, are typically only used for the 2 weeks per year of the Championship but may have their use extended for mitigating circumstances. In 2012 this meant a stint as venue for the London Olympics. The remainder of the courts are used regularly for other events held by the club. 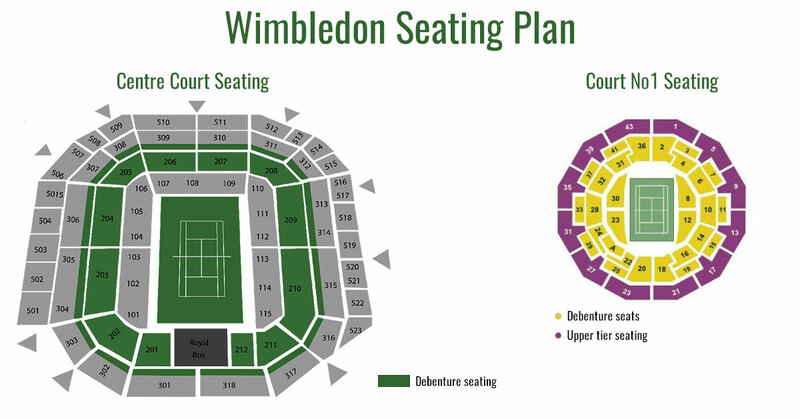 Center Court has a capacity of 15,000 people including a special box for the British Royal Family to enjoy the matches. This court always hosts the finals for the Gentleman’s and Ladies’ Singles but also serves for other matches during the tournament, usually for top seeded players or fan favorites. The second most important court is Court Number 1. Court Number 1 was rebuilt in 1997 to replace an older, more intimate, court with lower capacity. The new version now seats approximately 11,000 and is host to many of the most watched matches, quarter and semi-finals. The new Court Number 2 has an interesting feature, it is located about 3.5 meters below ground due to zoning restrictions that forbid new buildings from obstructing views. This doesn’t matter, it is still a fan and player favorite seating about 4,000. The old Number 2 Court was renamed Number 3 Court. It bears the nick-name Graveyard of Champions due to the fact so many top ranked players were eliminated playing early round matches on it. Aorangi Terrace is an all-grass hill within the ground of the All England Lawn Tennis and Croquet Club from which visitors can watch match play on a giant television screen. The screen is meters wide and usually displays matches for top ranked and favorite players as well as important match-ups, upsets or other matches of noteworthy importance. When a particular player commands the attention of the crowd it is often nick-named after them by the press and fans alike. The trend started in the late 1990’s when British player Tim Henman drew crowds of fans and television reporters began calling it “Henman Hill”. Now that you know everything about the history of Wimbledon, we hope that you are excited as much as we are about this top tennis event of the year! Besides, you now know how to watch Wimbledon online even from abroad, so what is stopping you? Enjoy!